The phone is impressively styled, with a brushed metal body that tapers to just 3.9mm on the edges, not unlike the Moto X. The metal body is reminiscent of an HTC design, but the rear-mounted power and volume buttons look more like an LG affectation. That said, the textured metal is similar to ASUS' own high-end tablets. 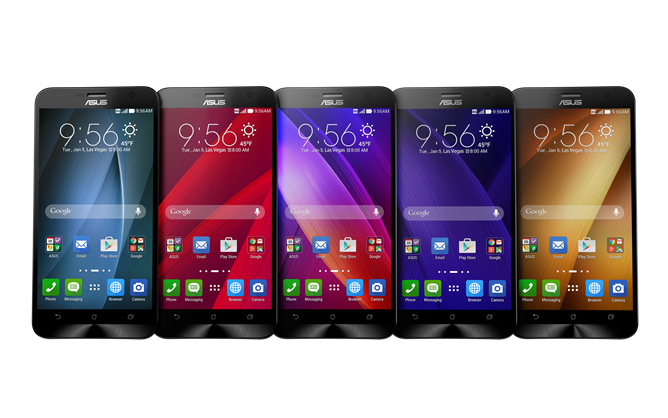 There's no denying that the ZenFone 2 is a looker. 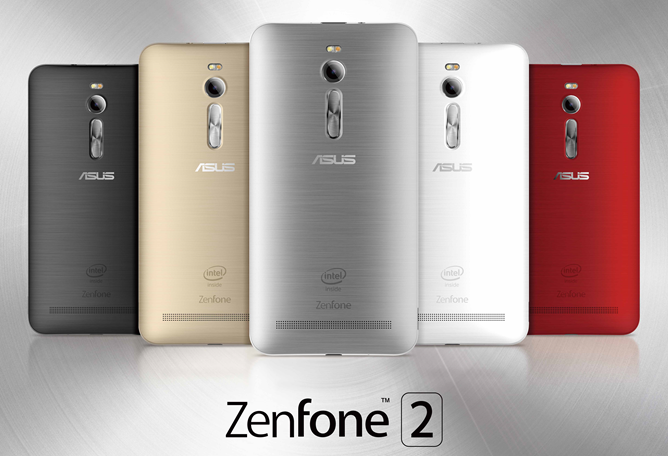 The phone's other specs are impressive, if not class-leading. 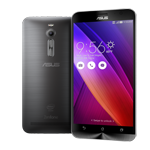 Its 5.5-inch screen is a mid-range 1080p IPS panel, plus ASUS' proprietary TruVivid technology. Underneath is a 64-bit Intel z3580 processor (probably thanks to ASUS' close relationship with Intel on the desktop side). The 3000mAh battery uses a proprietary fast-charging technology that gets you 60% juice in just 39 minutes, on par with Qualcomm's Quick Charge. The LTE-Category 4 phone features dual SIM slots on at least some models, a big draw for budget markets. The rear camera is a 13MP shooter with a decent F/2.0 lens, and its software suite includes a host of photo-improving tools. 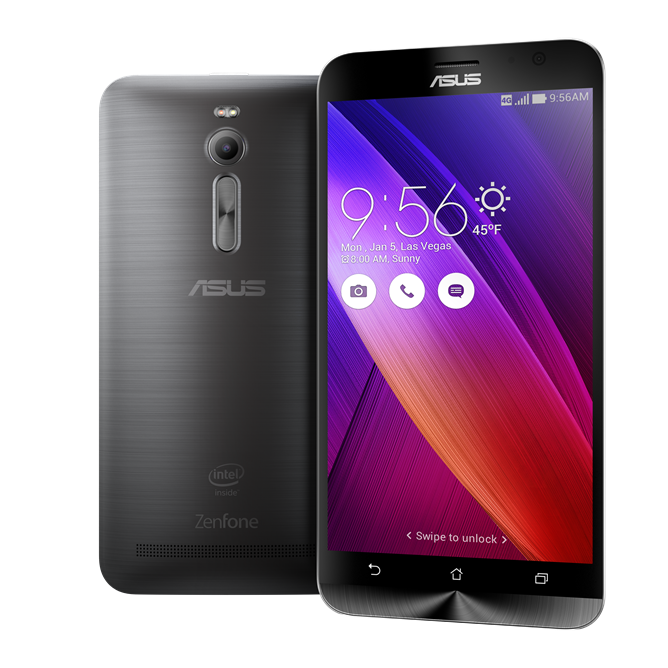 Speaking of software, the ZenFone 2 is running Lollipop. 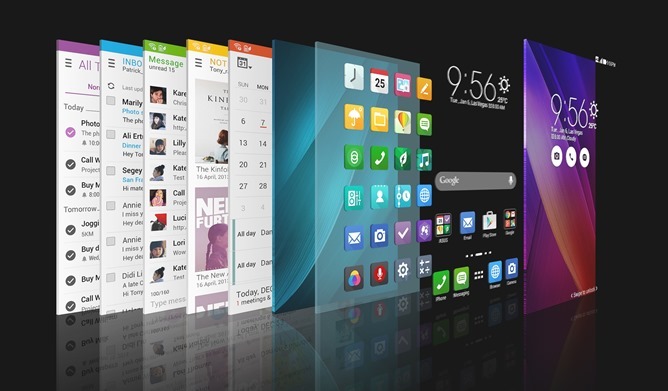 That's the good news - it's also running an updated version of ASUS ZenUI software layer. Depending on your confidence in the company's software skills, that could be a good thing or a bad thing. 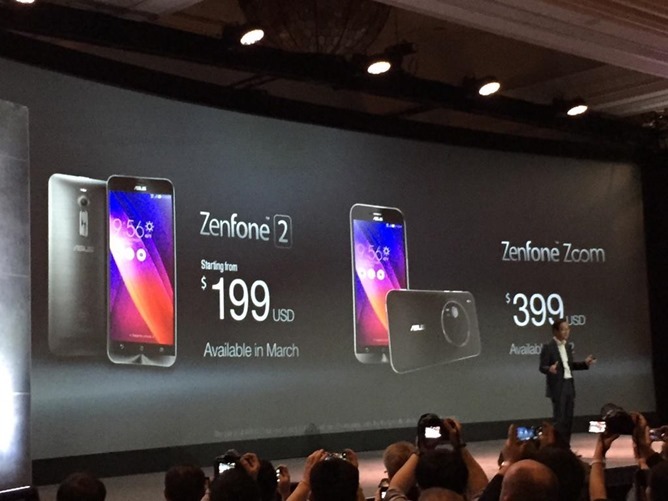 So what will it cost you to get a hold of the ZenFone 2? It starts at $199 USD, with a launch planned in March. That $199 model may not include that amazing 4GB of RAM, but even so it's an impressive bit of design. 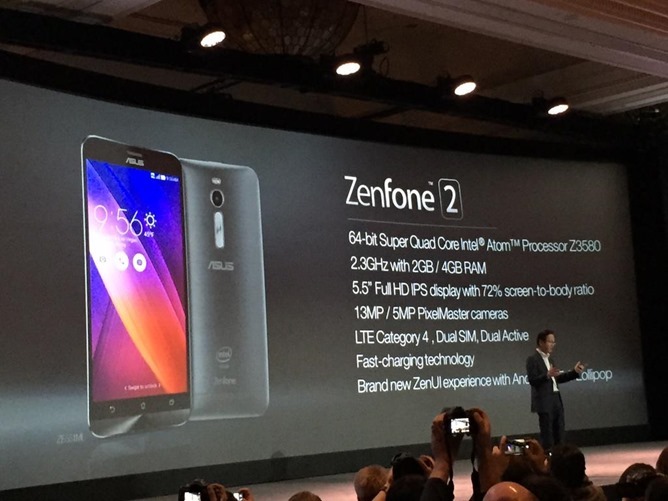 We'll have a hands-on with the ZenFone 2, hopefully with more concrete specification information, later on at CES.